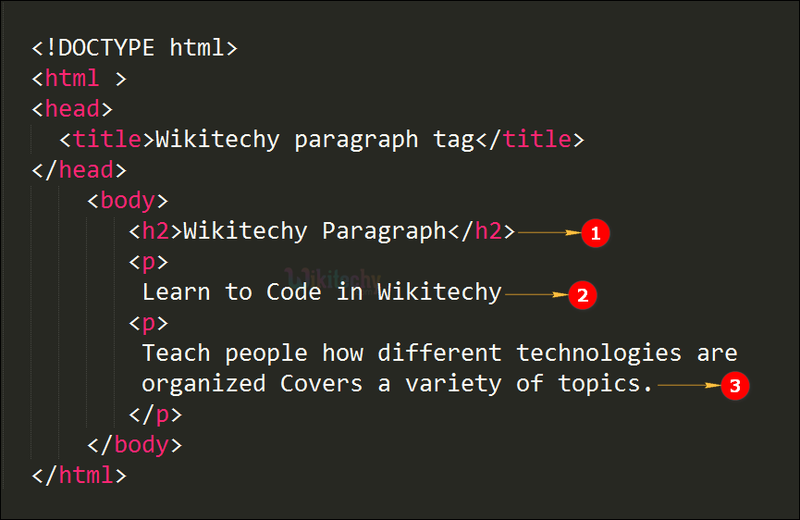 Paragraph tag is used to display paragraph in the html document. Browsers automatically add some blank space before and after a paragraph. Paragraph tag is the block-level element. <p> tag belongs to Flow content, phrasing content. <p> tag supports Global Attributes and Event Attributes. Covers a Variety of topics. <h2> tag is declare for the title of the paragraph content. First paragraph content is given within the <p> tag. Second paragraph content is mention within the <p> tag. The output shows the heading of the Paragraph. Here the content of the paragraph is displayed in the output.